Welcome to the city of love and romance. 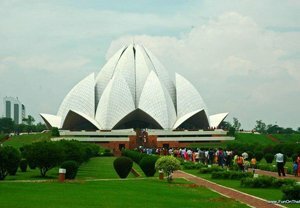 Agra day tour package gives access to a mystic experience. The extravagance tour de delight to Agra will make you feel captivated and astounded while will fill your memory bank with everlasting cherish memories. The same-day Agra tour includes the sightseeing of the Taj Mahal, one of the Seven Wonders of the World that is an immortal legend to tell you the effervescence of romance and joie de vivre of the rich heritage. The Taj Mahal day tour is an exclusive package from the Maharaja Trails to make you enthralled with the great hospitality, and famous Indian cuisines. Another attraction of one day Agra tour is the fort that had witnessed the 150 glorious years of Mughal Dynasty as a residence of Mughal royals has four grand gates to enter and explore the affluence of Mughal Era. The same day Agra tour by car will let you feel the freshness and beauty of the bank of Yamuna River that will first lead you to the Red Fort. The visit to the unforgettable marble mausoleum built by Shahjahan in the memory of his beloved queen Mumtaz called TajMahal. Short yet entertaining same day Agra trip with great hospitality. In the morning you will be driven to Agra, lying on the banks of river Yamuna & home of the famous Taj Mahal. Upon arrival head start to the Agra Fort on the banks of river Yamuna. Enter the fort through one of the four grand gates and discover many palaces. We leave Agra & drive back to Delhi. Arrive in evening.